Did you know you can access discounted rates on a huge range of hotels by subscribing to our travel newsletter? Available to Webjet Members, these hotel discounts are instantly unlocked once you sign up. Already subscribed? Log in now, start your hotel search and look out for the icon in the results. Webjet Members receive the latest travel deals & exclusive offers right to their inbox. 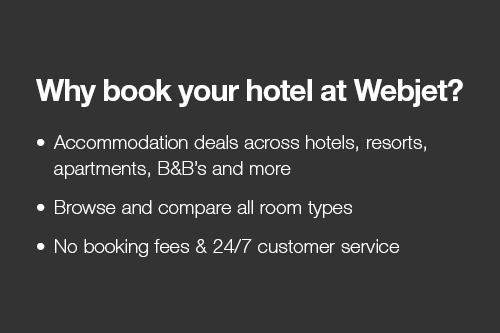 Webjet Member Deals are exclusive rates which are not publicly available on our website. These rates are made available to eligible customers who have subscribed to the Webjet email database. Webjet Member Deal rates may vary by destination and travel period and are subject to availability. Webjet deals may not be available at all times or in all destinations.